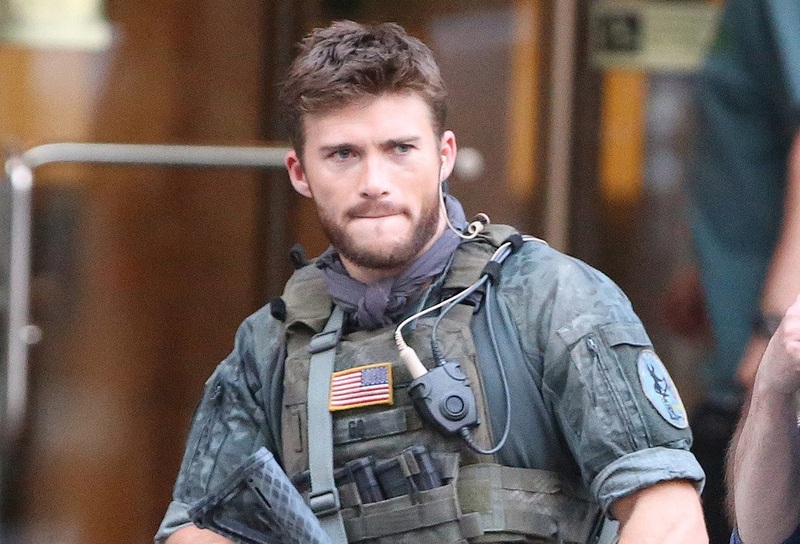 Trailer: It's 'Suicide Squad'... but where is Scott Eastwood? There's been a lot of talk about Margot Robbie's Harley Quinn and Jared Leto's Joker in the vaguely cool looking Suicide Squad trailer. Robbie's pole-licking and Leto's tatted and unhinged Clown Prince of Crime are set to send millions of millennials into a frenzy, but we're more concerned about the lack of screentime given to Culture Fix fave, Scott Eastwood. The actor's role is 'undisclosed' at the moment which means he's either playing a super iconic character (rumours have included Steve Trevor and Deathstroke) - or more worryingly, he's in a minor bit part. Anyway he makes a couple of appearances in the trailer, but can you spot him? At least we've got Queen Viola D to enjoy. Watch the first look trailer below. Suicide Squad hits cinemas on 5 August 2016. For those that weren't very good at the game of 'Where's Scotty?' we've included the answers below the video. 1: Top middle. There's our guy! 2. Left hand side. Hiiiiiieeeee.